In late summer 2013 C.Crane announced a major upgrade to the CC Radio-2 – the new model is called the CC-Radio-2E Enhanced. The article below decribes the original model in detail and all of its features…if you are new to this model, read this first, then jump to the article on the currently available updated model CC Radio-2E for details on the improvements. The cabinet for one thing. The “2″ is housed in an identical-looking cabinet as the Plus. This is a sturdy, attractive radio, available in “Titanium” or “Black Mica” colors. It features 5 Preset Station buttons along the top edge, along with the band selector, Weather Alert switch, Power/sleep button and the telescoping rod used for all bands except AM. A large Tuning knob, Volume knob and a Lock switch to prevent accidental activation when packed in luggage and a stereo headphone jack are on the right edge. Pressing the Tuning knob in turns it into a Squelch level set knob for the HAM band. On the back a are a recessed handle, Aux In/Out jacks, a Timer activation jack for an external recorder, such as Crane’s Versa-corder, external AM antenna and ground screws and the battery compartment. The front panel is laid out like the previous model with the aforementioned Light Button, Clock, Timer and Alarm function buttons, Up/Down Tuning buttons, Bass and Treble controls and the large display. Other basic features remaining the same are AM/FM and Weather Band reception plus a Weather Alert feature which can be activated to automatically alert you to dangerous weather conditions. The 2 also retains all the basic clock and timer functions with which you can program the radio to turn on and off at pre-selected times with alarm and snooze functions as well. I enjoy the Weather Band immensely…I can receive several frequencies clearly…the information is up to date and contains more detail than you get from regular TV or Radio weather forecasts…and it’s always right there. Most noticeable is the BRIGHT new LCD display…I mean this thing is eye-popping and incredibly easy to read, even outdoors. If you prefer more subdued lighting, such as on a night stand, there are three levels of illumination selectable by the front panel Light button, with which you can also turn the illumination completely off if you so desire. In typical fashion, when running on A/C Power the illumination remains on unless you turn it off. On battery power it remains on for 2 minutes after any button press…the 2 minute timing is a welcome feature. My early copy of the Owner’s Manual states 15 seconds but Crane has already corrected this in an updated manual. 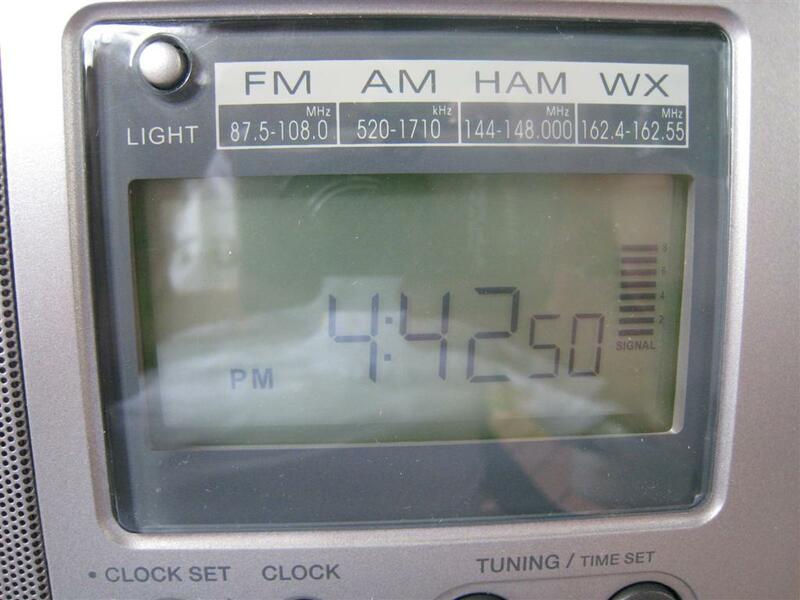 The 2 Meter HAM band. This is an interesting addition to this new model. This band will let you tune in on the world of radio amateurs and I did find a few signals to listen to. Setting it up is a bit of a learning process but C. Crane helps with basic advice on how to proceed and some pre-tuned frequencies are helpful as well. There are many resources on the web to help you find local repeater frequencies that will work in your area. The Squelch is calibrated from “Off” to “12″…on my sample the lowest setting “1″ silenced the inter-station hiss, but still seemed to let any listenable signal through. You can increase this squelch level to block out weaker signals if you want to concentrate only on strong local signals. In an emergency this band will be active and could provide much interesting information…I heard a few rag-chewing sessions as I casually explored it. Sensitivity: The best way to check for AM sensitivity is at midday, when skywave reception is minimal and signals are reasonably stable. Daytime signals are generally weaker than nighttime ones and a range of weak signals can reveal a radio’s ability to not only hear stations at the threshold of audibility, but to render more typical signals…the ones you might actually listen to, with less background noise. This also assumes your local RFI…the buzz and static caused by almost everything electrical these days and radiating from power lines is not the limiting factor in hearing weaker signals…in the presence of excessive RFI, differences in radio sensitivity matter less and less. Sensitivity is definitely improved in the new model. 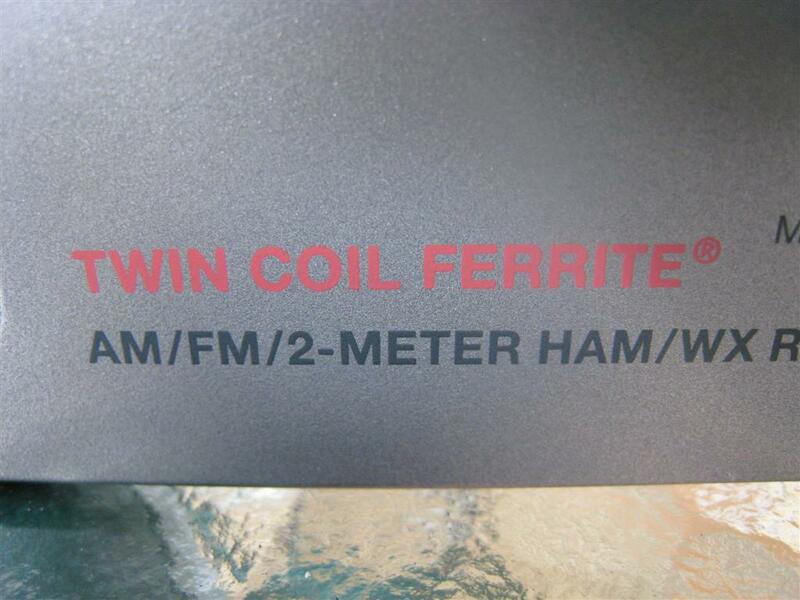 C. Crane has designed a version of its Twin Coil Antenna for the C C Radio 2 and I’ve got to say it seems to work. You can see it working as you change stations…when a new (AM) station is selected the word “Signal” beneath the Signal Strength Meter flashes and you can see the signal rising and falling. After a few seconds the flashing stops leaving the signal meter at the highest level possible on that station. I carefully compared the new “2″ with my original “Plus” and can attest that, although the improvement is not night and day, the new model is definitely a bit more sensitive than the previous model. I scanned the entire AM band checking signals at the threshold of audibility as well as stronger signals which still were weak enough to be heard with some noise…the “2″ always outperformed the “Plus” on a direct side-by-side comparison. Again, sometimes the improvement was small, but it was very real nonetheless. This new model is at least as sensitive as my vintage GE SRI and SRII radios…perhaps a bit better… and that is an achievement in a current-production, digitally tuned radio indeed. I also checked basic adjacent and alternate channel selectivity on AM and had no trouble separating adjacent channel signals unless the undesired signal was much stronger than the desired signal. For better selectivity you’d have to go to a world band radio with multiple IF frequencies. On FM I did extensive side-by-side tests among the CC Radio-2, the older model CC Plus and a few other reference FM portables and found the new “2″ to be superb on FM. Again I found it just a bit more sensitive on FM than the older Plus model which also made it a bit less fussy of antenna rod adjustment to get clear reception on problem signals. Overload rejection is the ability of a radio to resist interference from strong local signals when you are trying to listen to weaker signals. Overload can manifest itself in many ways…strong signals may simply spread out over a larger portion of the dial than they should obscuring nearby stations, or “images” may appear…ghosts of signals showing up at additional spots on the dial where they interfere with stations you want to hear on those frequencies. 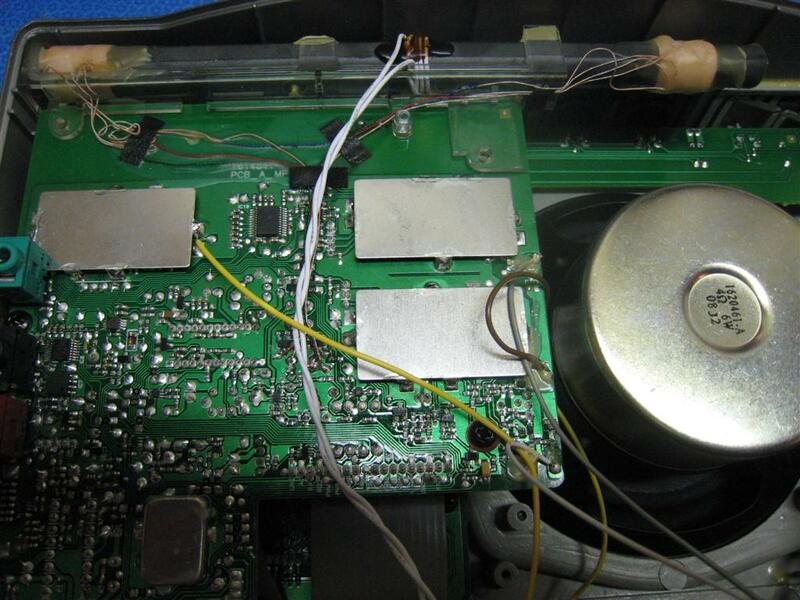 Unfortunately, it is very difficult to design a portable radio to have extreme sensitivity while still having a high overload threshold. 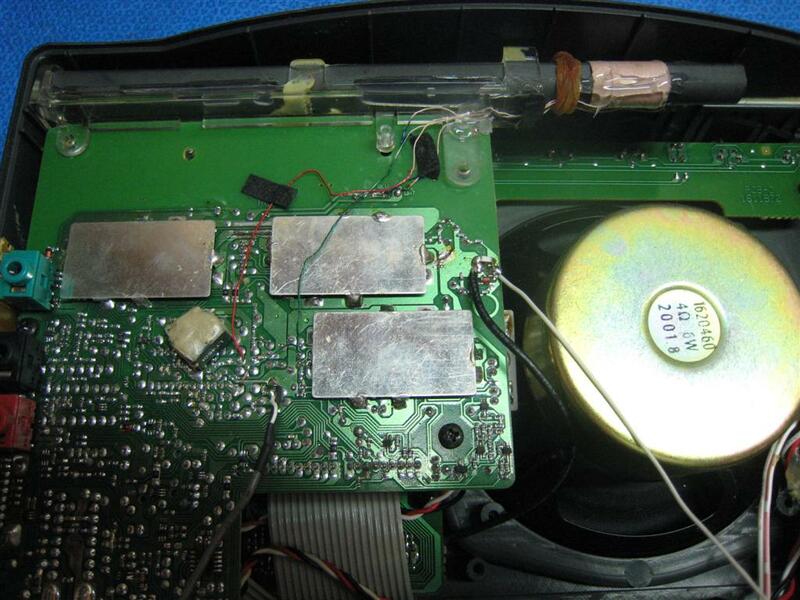 It can be done (think “car radio”) but suffice it to say that most portable radio designs are a careful balance between sensitivity and overload rejection. Generally the vast majority of listeners do not live in intense signal areas, but for those who do, overload rejection may be more important than sensitivity. The CC-2 is not a good choice for people in extremely strong signal areas. The CC2 seems to be significantly improved over the Plus for FM overload resistance and a little better on AM overload resistance and this is excellent news, but neither were as good as the CC Radio SW or a vintage Panasonic RF-2200 or GE SR I or II for immunity to strong signal overload. I repeat…no radio is best at everything, so choose the one that works best in your environment. 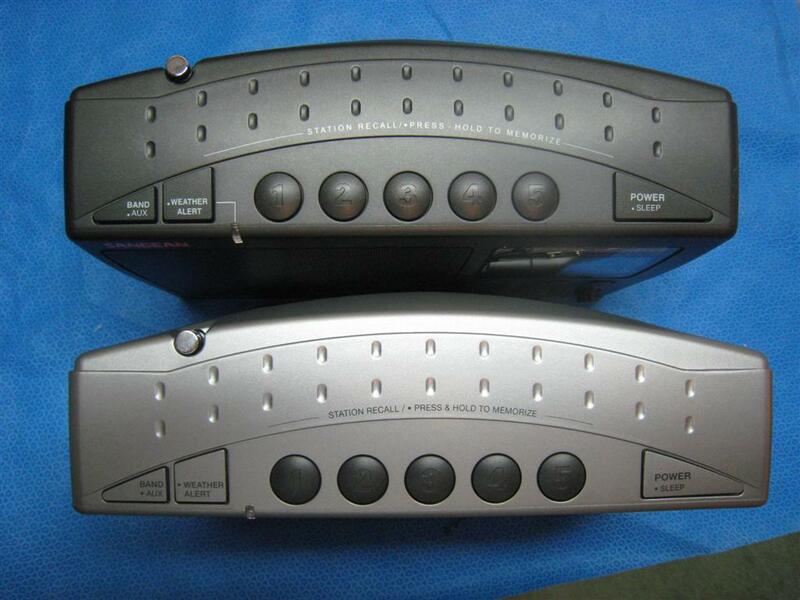 I’ll be honest…I never was enamored with the AM sound of the older “Plus” model. Crane’s goal of tailoring the audio response for the human voice was a bit heavy-handed in my estimation. True, it cuts down dramatically on background noises if they exist, but it also cuts out lots of audio that need not be cut out for most signals people might actually listen to. My take…if you have Bass and Treble controls, let the radio sound as full and clear as possible for good signals, then you can use the treble control to cut down excess noise when it is necessary. I hope Bob Crane is listening to this…their own CC Radio-SW has far better audio than the CC- 2 and the 2 could sound as good as the SW model with a wider frequency response, especially on AM. Fortunately the new “2″ has a much fuller sounding bottom end on the AM band than the Plus did…with its bass control centered it has at least as much bass as the Plus does with its bass control fully advanced. So this is my only quibble with this radio…it now sounds much better with its fuller bass…if it had a crisper high end on AM it would be just about perfect. I will also quality this by saying I am an audio fanatic…many listeners will find the sound of this radio to be perfectly satisfying and I’m glad that C. Crane is at least moving it in the right direction. How Does It Compare With The CC Radio-SW? A natural question. I compared my CC Radio 2 with a Redsun RP-2100 which is essentially identical to the CC Radio-SW. Each has a different set of strengths. Note that the CC Radio-SW contains a form of Crane’s famed Twin Coil Antenna as does the CC Radio-2 but circuit differences let the 2 slightly out-pull the SW model on AM. The sensitivity difference is easy to hear under careful test conditions …on my midday tests out of town AM stations were noticeably freer of hiss on the 2 than on the SW, and the 2 also heard some very faint signals which were not there at all on the SW. However, the SW model was still very good on AM overall…better than other currently available portables anywhere near the price. On FM the CC-SW/Redsun is truly superb with excellent sensitivity, good selectivity and very good image rejection. Luckily the CC 2 gives it a good run for its money. I have to give the nod the the SW model on FM but again, they are quite close. From there the models begin to diverge. The SW model offers very capable Shortwave reception, dual IF bandwidths and powerful, full range audio which frankly trounces the sound of the 2. Yet the 2 offers Weather, 2 Meter HAM, and full digital features. 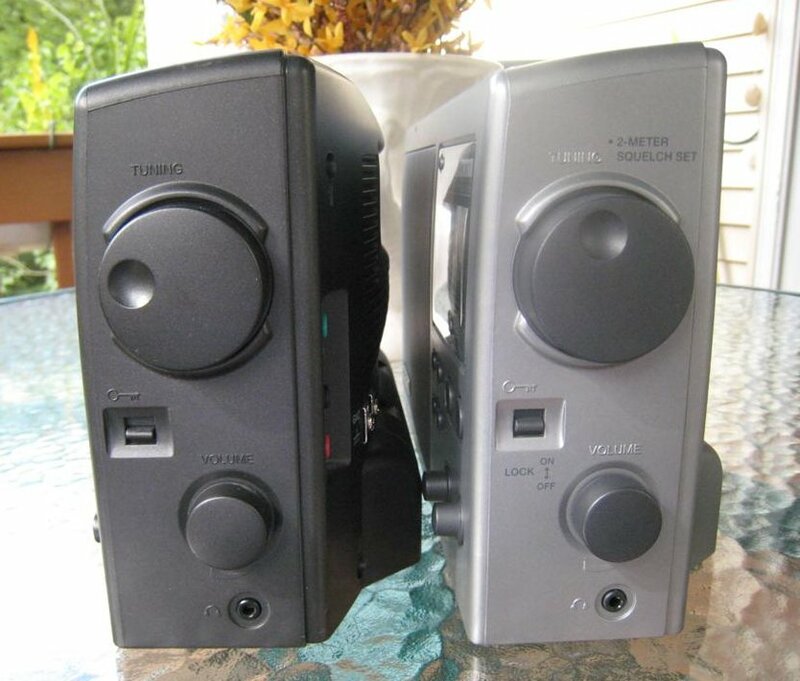 A radio nut like me wants to own both because each has its strengths and weaknesses…like every radio I own. The perfect radio has yet to be made. 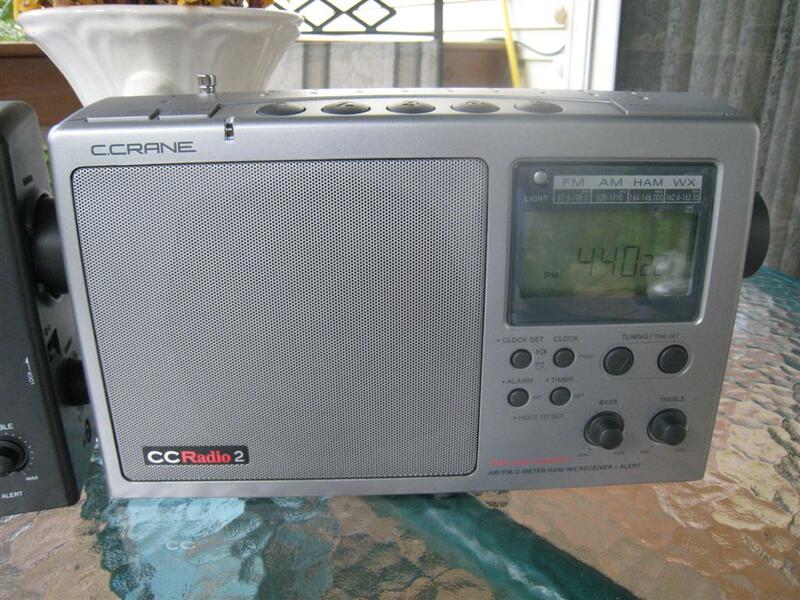 The new C. Crane CC Radio-2 is a unique product – unique in that it provides exceptionally sensitive AM/FM reception, the 2 Meter VHF HAM band, Weather Band with Weather Alerting, full digital features such as memory presets, clock and timer functions and it can operate on its built in AC power supply or 4 D cells. 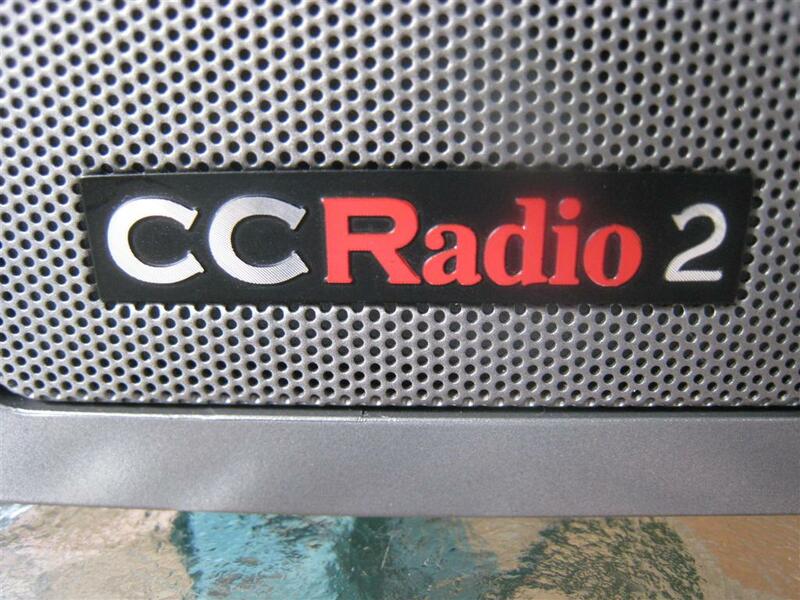 And specifically, as of this writing, the CC Radio-2 is the most sensitive digitally tuned AM portable you can buy. It is well made and feels solid and natural to use. As an AM radio junkie I find it an especially fun radio to band scan with knowing that it will hear anything that is there to be heard plus it adds digital tuning accuracy. If you have a favorite AM station which you can hear in your car but not on any radio in your house, try the CC Radio-2. Sometimes homes are filled with devices that generate interference making reception of weak AM signals impossible, but…if the signal is there, the CC Radio-2 will let you hear it. A special thanks to C. Crane Company for providing the radios for our reviews.